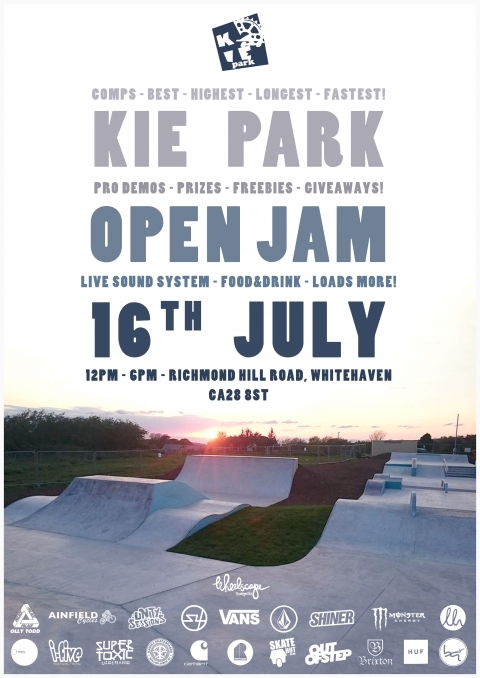 The well respected Radlands Skatepark closed down many years ago, since then the Northampton locals have been campaigning to get themselves a new park. 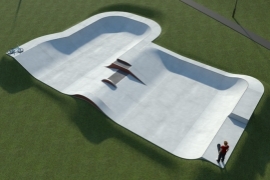 This video gives an insight into the whole process. 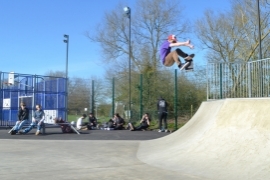 Radlands lives on! 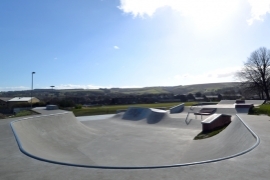 This Promotional video showcases some of the Wheelscape skate parks across the country. 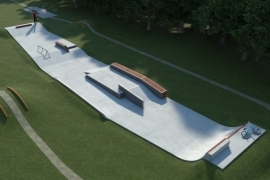 It also gives an insight into the design process, from user group meetings to 3D CAD renders and flythroughs. 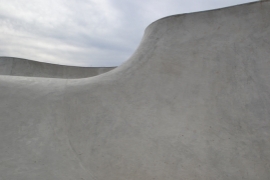 The Wheelscape Design Team took some time to escape the office and get out there to test some fresh concrete. 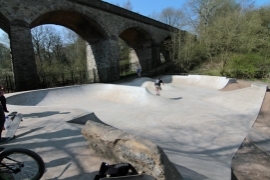 Wheelscape Skateparks, Hullen Edge, Weston Park and Bollington with Matt Popek, Russ Heideman and friends of Wheelscape Sam Austin and Matt 'Boyo' Williams. 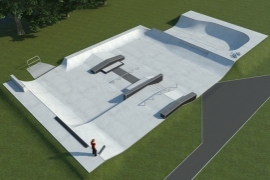 This 'Why Skateparks?' 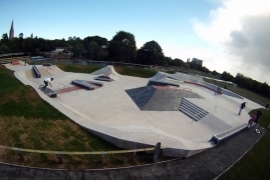 documentary explores the benefits of having a skatepark in your local community, why user-led consultation is so important and why free-form concrete construstion is the only way to build the next generation of skateparks in the UK. 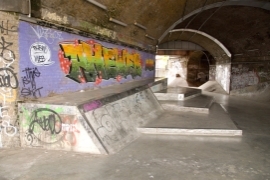 Stefan Hauser Interview at Cantelowes Skatepark, Camden, London. 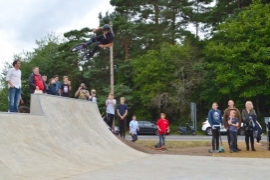 Stefan Hauser, CEO of Placed to Ride Inc. the skatepark designer and builder responsible for Malmo Skatepark in Sweden as well as countless others across the US and Europe came to the UK to work with Wheelscape on Old Meldrum Skatepark in Aberdeen, Scotland. 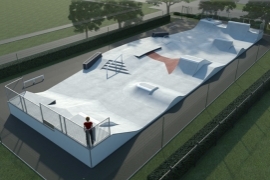 Stefan is a world-class skatepark designer and builder, constructing world-class facilities across the globe. 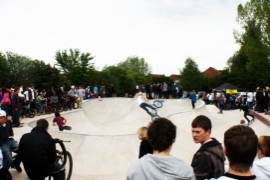 Malmo Skatepark is one of the homes to Quiksilver Bowl Riders Comp along with Cantelowes Skatepark in Camden, London. 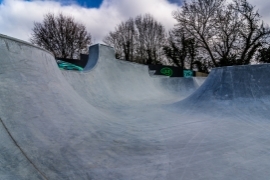 We showed him around Cantelowes Skatepark and asked him a few questions on what he thought of working with Wheelscape, UK skateparks and why skateparks are a good idea. 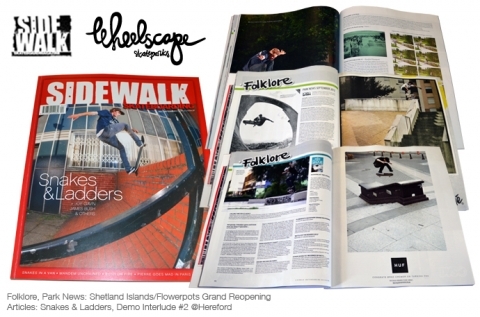 "I think Wheelscape have been brilliant. 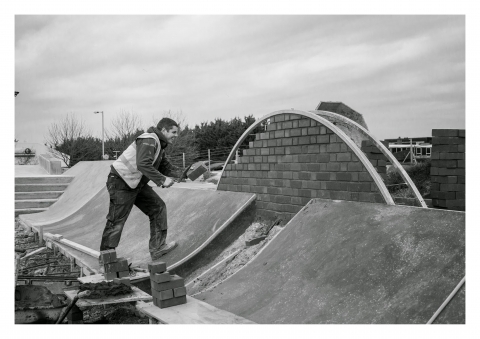 Duncan, who has worked with us, has made this job so easy for me, his communication skills are fantastic. 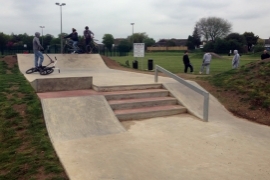 He worked with the community group, he took the job out of my hands and delivered something that is just brilliant." 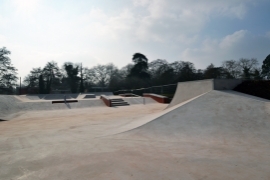 "It will mean a lot to Uckfield because this is giving the youths and all the skateboarders and BMX riders somewhere to go which is safe." 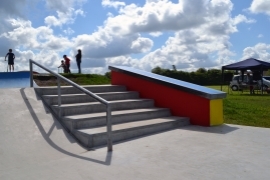 "The Group was very impressed by the professional and friendly way that Wheelscape supported us through the whole process while delivering the park on time and on budget with the minimum of fuss." 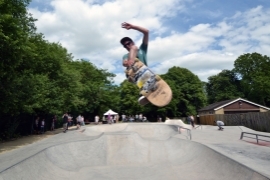 "My architectural skills allow me to understand how to manage and deliver the skatepark visions that we create with communities around the world. 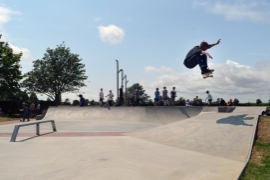 My personal mission is to use these skills and knowledge to help create the most original and engaging skateparks for our communities." 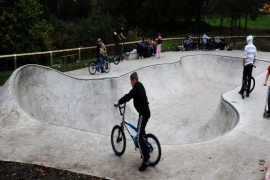 "This provides them with a space or a real hub where they can go and exercise, they can go and work with others, join youth groups and so on and so forth. 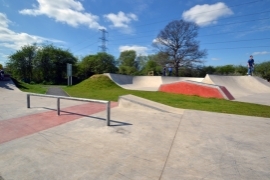 So it’s providing that wider mix that can create great communities." 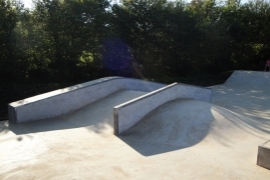 "'It's the funnest park I've ever skated, each obstacle is perfect and they all complement each other meaning lines for days!'" 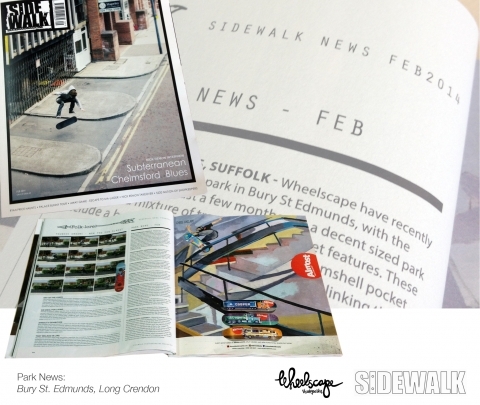 ‘Solid Mattress’, Uckfield local and Blogger. 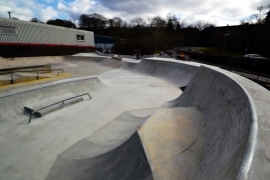 "Wheelscape are making parks with the glassiest finish over here lately, Oldemeldrum being a prime example!" 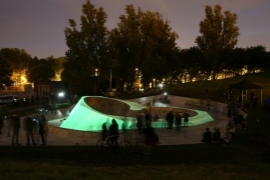 "Those projects that are still lasting now is because there’s quality design involved in it. That design process needs to be an engaged design process, getting the young people, the old people, everybody involved in the design, right from day one. 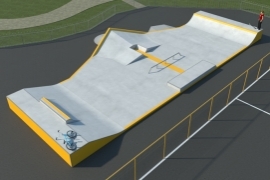 Then at the end of the project it’s their project." 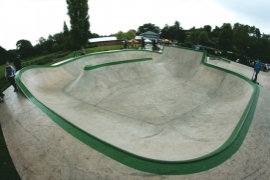 "So many times they’ve built skateparks in the UK where they’ve consulted nobody. 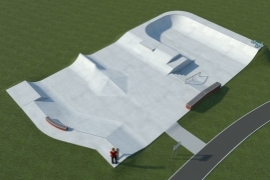 It’s important that the user-group or whoever have actual consultation in the actual design, building and seeing it through, to make sure that the skatepark is actually built correctly." 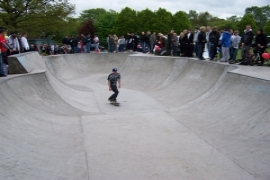 "Skateparks are not just a skate facility, they are a social space. 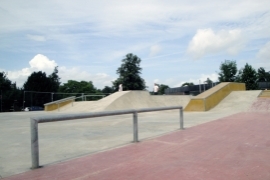 You’ve got to look at them in the same way you might look at providing tennis courts or football pitches. 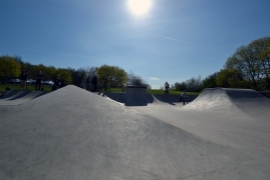 They’re a sports recreation space and that’s what’s really key, it’s not just about the facility, it’s about bringing the young and the old together." 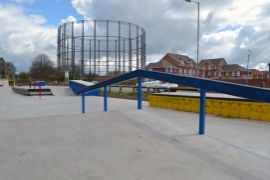 "Wheelscape are a competent company that have worked closely with the users in the area and come up with a design which the users are happy with, it's all come together and they've done a really nice job of the build." 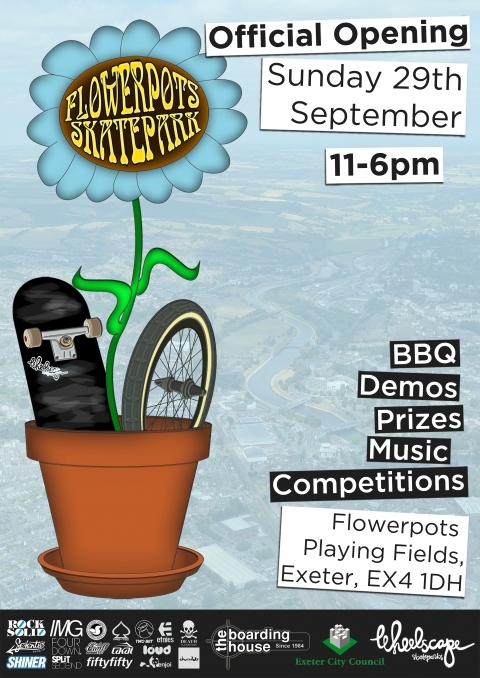 "We find Mum's and Dad's dropping off their children at the skatepark and going into the town to the shops, now their coming to Hereford to shop, it's actually keeping the City vibrant." 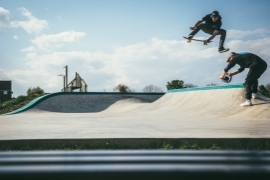 "Skateparks are an integral part of our scene, without them kids aren’t going to have anywhere to practice safely, to skate, BMX, rollerblade, anything. 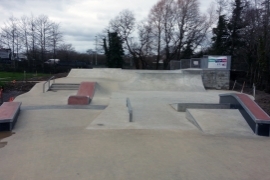 It’s a good place to be. 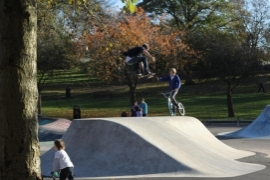 It gets kids off the streets, it gets kids on the streets but in a good way." 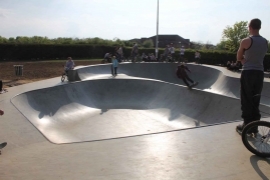 "We think skateparks are really important, they provide a vital facility or resource for young, youth age groups often in areas which are very densely populated where perhaps there isn’t a high provision of facilities or open spaces." 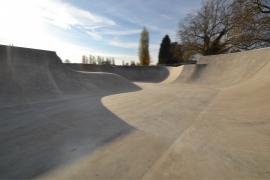 "(Biggin Hill)The build quality is great, the concrete's great too." 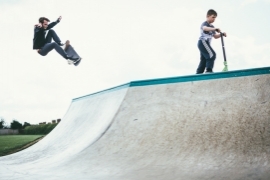 "It’s important for kids to have these spaces where they can go and have to learn life skills and how to behave responsibly in an uncontrolled mutual environment. 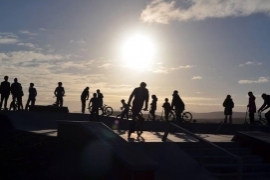 That teaches young people a lot as well as obviously it keeps them healthy, they’re outdoors and they get to learn new talents." 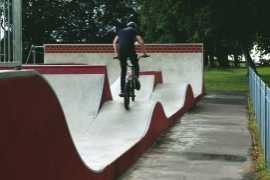 "If I wasn't here riding, I'd be causing trouble somewhere like I was before, then this came along and it's turned it all around... I've gotten better." 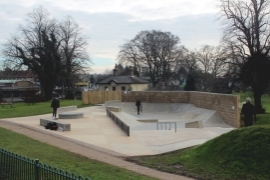 "We worked with Wheelscape very closely on the design and build of the skate feature, ensuring that it’s integrated and sits within the landscape and that’s exactly what it does, it’s one organic space." 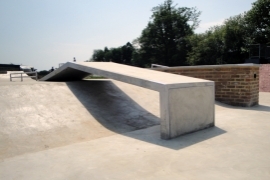 "With pre-cast, every piece has to be casted and mould, it’s heavily engineered, it’s a lot more concrete so in that way it’s less environmentally friendly because you use about three times the amount of concrete. 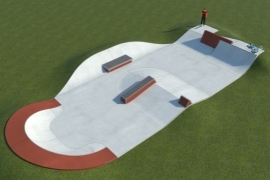 So that’s cost and an environmental impact and you’re having a limited design." 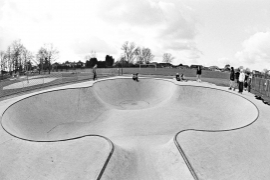 "You’re going to find in Europe, where you’ve found in Australia and you’re seeing in the US is that skateparks are just going to be planned into the master plan of any new or existing remodel of a park because they’re just the same as a football field or a restroom or a playground. 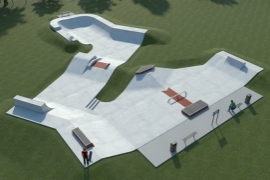 It’s a feature that should be planned into the landscape of the park." 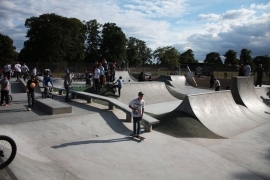 Stefan Hauser, World-Class Designer and Builder, Placed To Ride Inc.
"Meldrum Skatepark Group is delighted with the finished skatepark and young people are coming from near and far to use it. 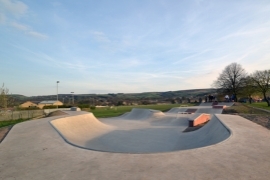 Everyone so far has been very positive about the design and finish quality of the park." "This is fantastic news for Cantelocals. 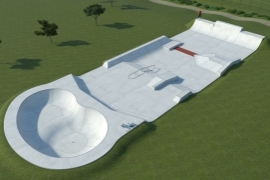 Not only will 1500 locals use the facility, but there will be coaching and training for those who want to start and stay in skateboarding, and international jams taking place. 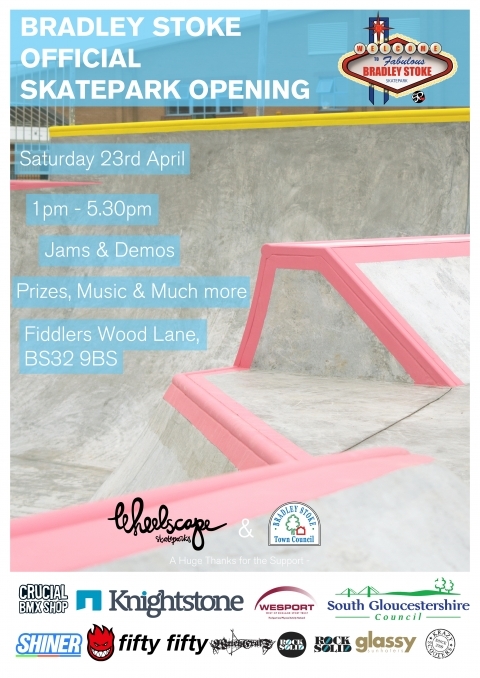 The skate park breaks down barriers to participation and we hope that it will help create a more active community." 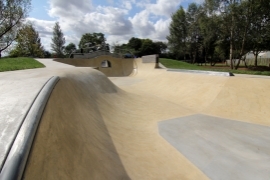 "And actually they've been really resiliant, resistant and done their best to raise the issue, raise money and I think it's resulted in a great facility here today in Werrington. 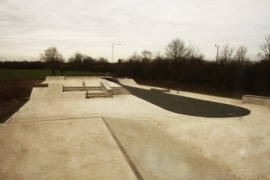 I'm delighted for both the community and particularly the young people that are going to have so much fun here." 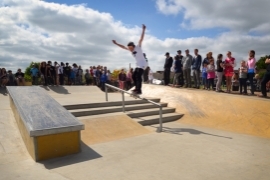 "Thanks to the Cantelocals, Camden has a truly fantastic new facility for young people. 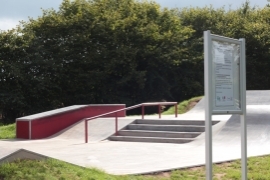 I know they were really looking forward to the opening and being able to develop activities in the park, such as competitions and training for beginners to experts." 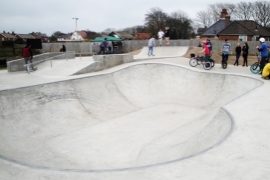 "Cantelowes skate park is brilliant. 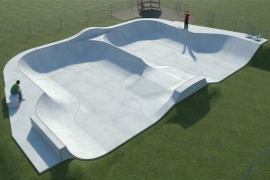 It reflects the best in skate park design, it has a world class bowl and is already attracting international skateboarding competitions. 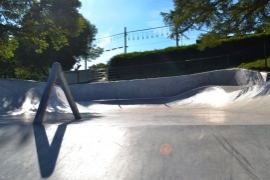 I’ll be skating here a lot." "It’s not something that’s interesting for one week, one month, two years, but for 10 years, it’s something that 10 years, twenty years from now people will still be interested in and the new users as well as the old users will find enjoyment and new ideas and creative lines." 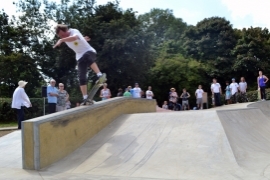 "We haven't had yet one call from a resident of Dawlish complaining about skateboarding, this means the workload over any given weekend has been cut by 30%." 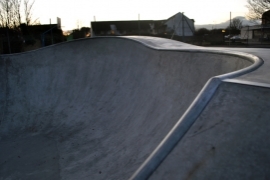 "The bowls really smooth, the over-vert's really nice, good coping. 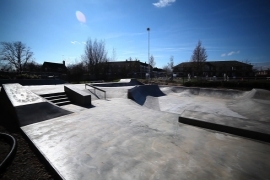 It's all worked out well"
"A marked drop of 34.9% in levels of youth disorder was recorded in Beat 6, where the skatepark is located, since 2002-2006. 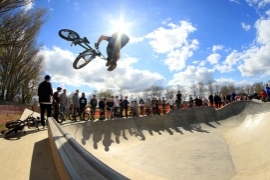 Anecdotal evidence suggests that there is a code of honour among those who attend the skatepark. 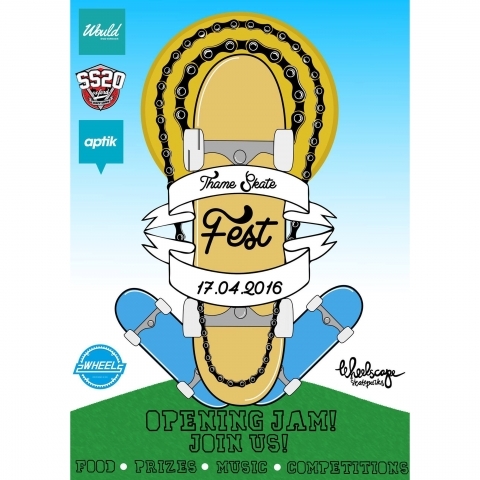 This encourages youths to behave appropriately for fear of spoiling it for others." 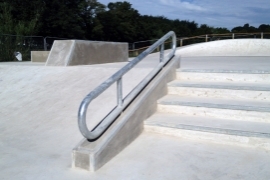 "I started working with Wheelscape, they’re great lads, really hard workers, reeeally dedicated. You know, I haven’t found more dedicated builders. 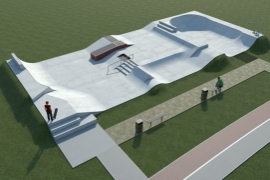 I’m really impressed, I wish I had guys like them working with me as a local crew on my projects in Sweden. 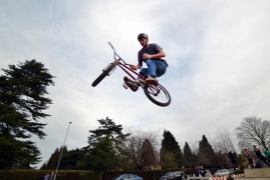 I haven’t been lucky enough at all to have people like they have at Wheelscape." 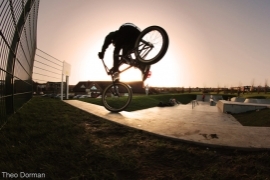 Stefan Hauser, Placed to Ride Inc.
"Look at the finish on that! 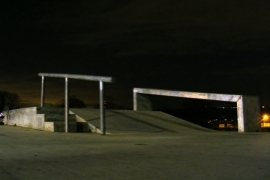 exclaims Matt Elms, crouching to run his finger along a paper-smooth block of solid concrete with a gleaming stainless-steel edge." 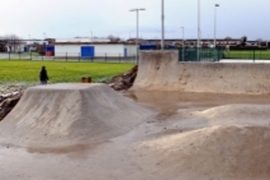 "I think Council’s should fund skateparks because they get used a lot! 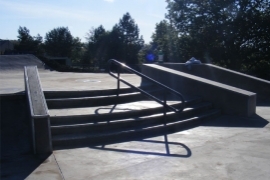 They get more use than pretty much any other public facility you’ll find. 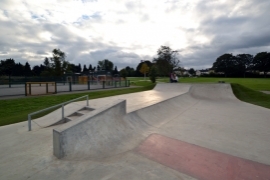 They get good use, they’re self maintaining, it’s just a good form of self expression as well as physical activity"
"Taunton will be hench I'm going to be down there everyday at the minimum (if i'm not sleeping in the bowl over night like a right scumbag.)" 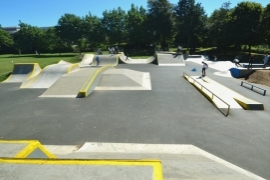 "At Taunton, I think having a strong direction pre-tender, and having designed and run the user group consultation independent of any company was a good thing for us. 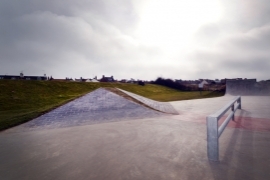 We did a very thorough brief for the tender and Wheelscape nailed the user group review phase by a mile." 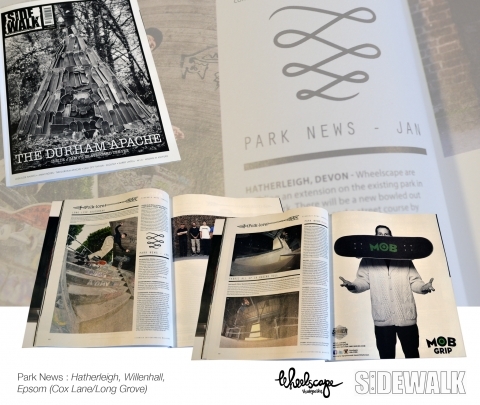 "Good to see local skaters using their heads and designing stuff that fills a niche rather than building lots of very similar parks..."
"It's absolutely spot on. 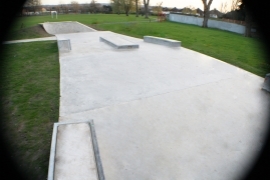 Without a shadow of a doubt, the best concrete skatepark in the area. 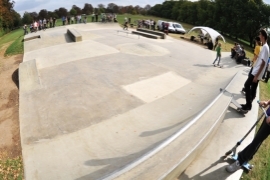 Not just in East Anglia; people have travelled from all over, from all over the city and beyond to get here. 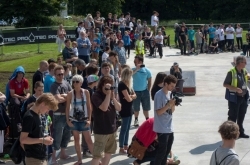 It's been a great turn out." 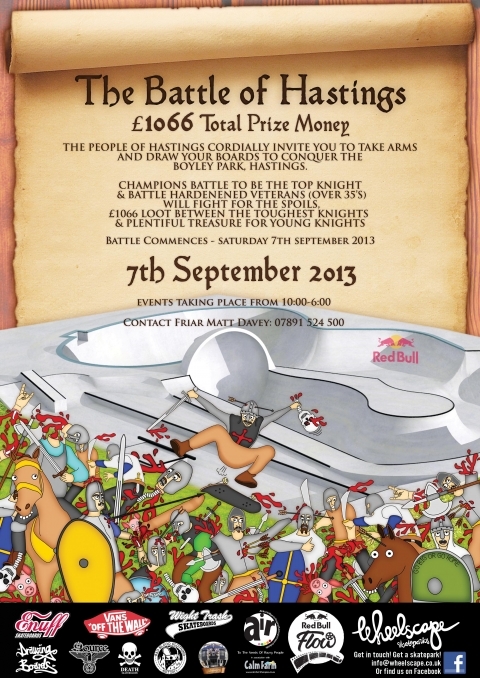 "I initially started by forming a petition of young people, about 200 names, it moved on and developed from there really. The young people worked very hard in sourcing funding from different areas; the youth bank, the city councilors, things like that. 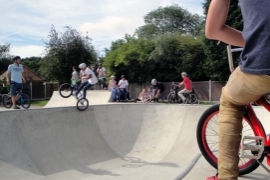 They really worked hard on sourcing funders from different areas." 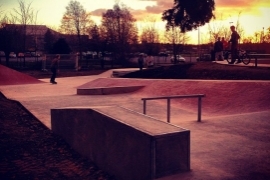 "I think skateparks are great. 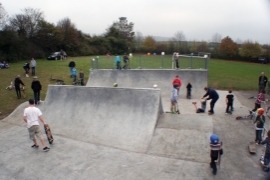 It's a really good way of keeping the kids out of trouble, somewhere for them to go and have fun and enjoy being outside rather than sitting inside on a computer." 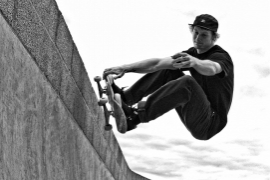 "Whenever I pass, I stop for about a Quarter of an hour. It's always being used, it's lovely!" 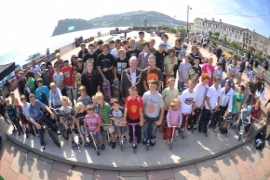 "It's great to have something to fill in the missing link for the older youths of Teignmouth." 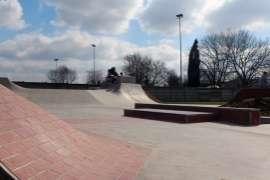 "The Skateparks important to the local community, it gives them somewhere to go, gives them a bit of focus. 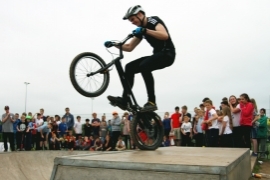 It keeps them off the streets and out of trouble." 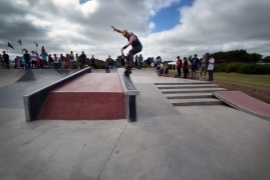 "(hastings opening jam) I've been skating for 23 years in Hastings, nothing has ever topped this. 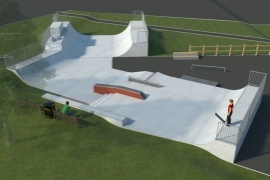 This for me is the right people, in the right place, with the right park, with the right people behind it. 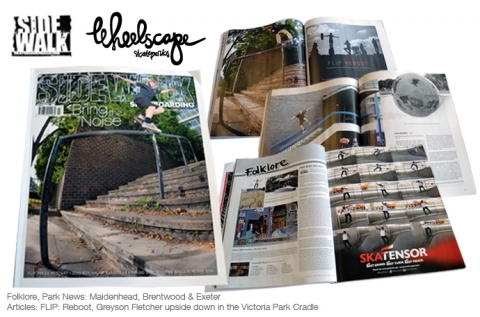 Wheelscape are the right people, that's it!" 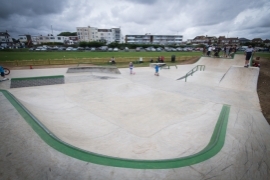 "Hastings skatepark is amazing, it's really great to see parks like this being built in the UK. Especially with the cradle." 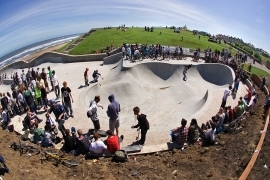 "If people like Mark Munson are coming up to me saying 'this is the best skatepark in the UK, it reminds me of skating in Oregon' that means we're on the map, we're here to stay." 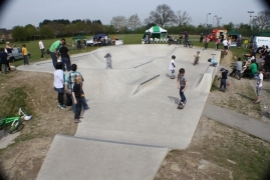 "When the Biggin Hill Bowl started being built, of course the kids started getting really excited, it was fantastic seeing it all happen." 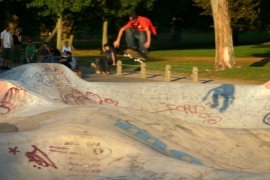 "Skateparks in general are a great idea, they get kids doing stuff, they get kids together, it gets them off the street. 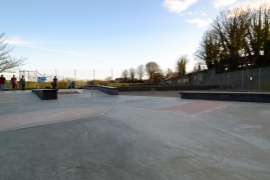 If you've got a good park, it's even better. 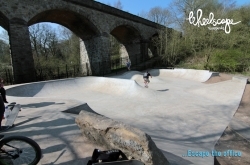 Good parks get used alot, people will travel from far and wide...this is a good one, it's right up there!" 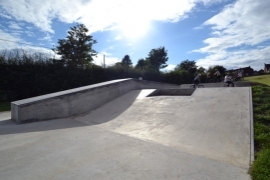 "A couple of years ago we managed to find some funding and with the help from the young people, because they also raised funds themselves, we managed to get to this stage. 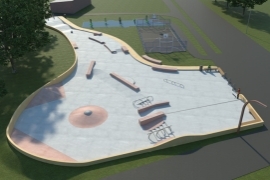 The fact that the young people had an input into the design of the park aswell, it means they've really got what they want and it's fabulous, absolutely fabulous!" 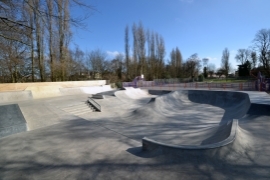 "A lot of parks have got the same old features, we wanted Taunton to flow a bit differently, we wanted something unique, but with that progression built in." 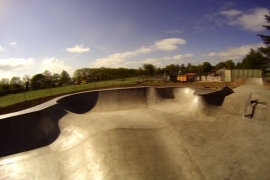 "The bowl is the best feature in my opinion, because its smooth and fast, and deep and gnarly." 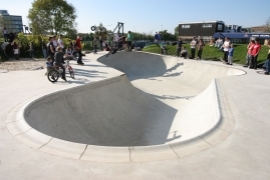 "Wheelscape and the community consultation is a big part of why this skatepark exists. 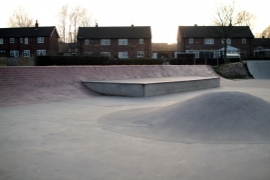 Basically, if you communicate with the people that are going to use it, you end up with not only a really good skatepark, but the people that are going to use it really appreciate what they've got and feel a part of it." 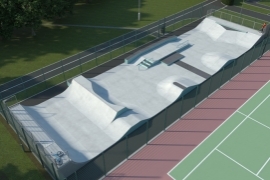 "I could slash the top of it, which I was stoked at, but what some of the other kids are doing on it...it's off the hook!" 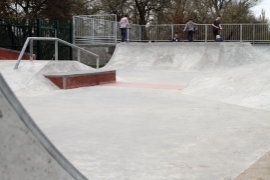 "All these kids are getting fresh air, they're keeping fit and healthy, I think that's absolutely amazing and all the kids here today shows just how much Hereford skatepark is needed. They're happy, the parents are happy." 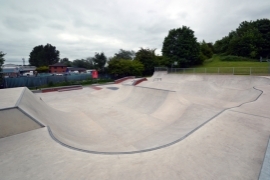 "Here in Hereford we have built an all concrete skatepark, top kind of quality, so the kids can really develop their skills. 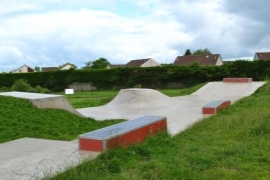 This gives them the opportunity to find an exciting place to do what they want to do in a much safer environment." 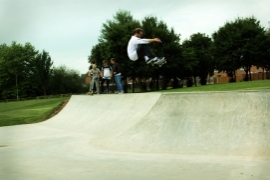 "It's been a RAD day down at the skatepark in Hereford. 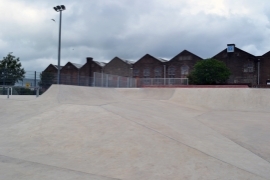 Wheelscape built the park, did an amazing job, it's probably one of the best skateparks I've skated. 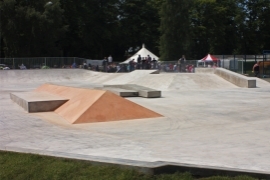 The kids are going off, you can see how far they've progressed since the skateparks been built in Hereford. 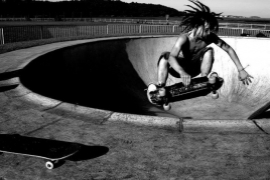 I left half my soul in the bowl, snapped my arm off...but i love it!" 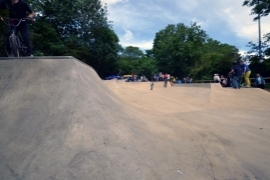 "This is just so much better than the old park. 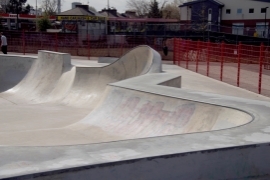 It was crumbling apart and used to damage your board. 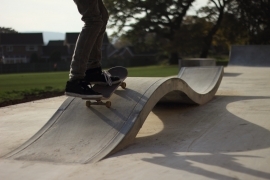 This one flows better, it’s smoother, it has more obstacles, it’s much more advanced." 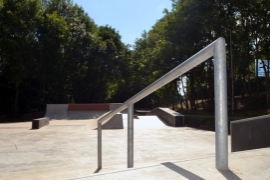 "The new Cinderford park has the best skatepark rail I have ever skated. 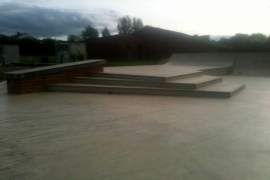 They have really got their dimensions spot on!" 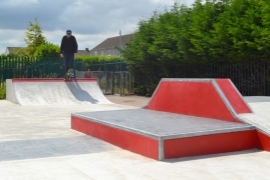 "We know that anti-social behaviour and youths hanging around on the streets are main concerns for residents, but by supporting facilities such as this, we hope those concerns can be tackled." 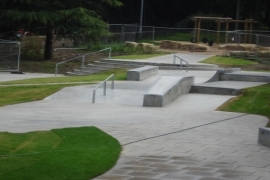 "Thanks from everyone in Northampton for doing a great job with our plaza!" 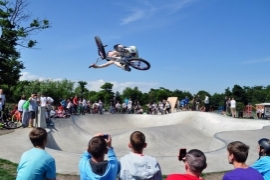 Please send your best photos, as jpgs no bigger than 2MB to: max.fyfe@wheelscape.co.uk. To send us your videos simply fill out the video submission form below. 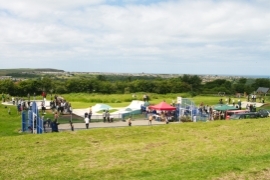 We'll put our favourites on the website, with your name and/or website credits. Privacy: All information submitted will remain strictly confidential and will be used only for the purpose of processing your submission, should we need to contact you about your video. Your information will not be shared with any third parties.